Klettr(?) and Bleikr raised this stone in memory of Gunnviðr, their father. He travelled away with Ingvarr. May Lord God help the spirits of all Christians. Þórir the Crane carved. 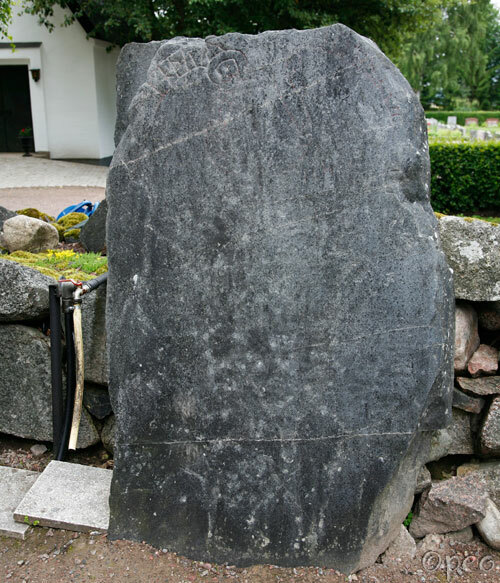 Only a few runes are still visible on this stone. It was used as a floor-stone for a very long time, but the original text was written down a few hundred years ago.